This is one of those songs that, for some reason, I ignored back in the 80s but I now really appreciate. Best known for his association with Motown, the American singer/songwriter, producer and former member of The Miracles, spent two weeks at #1 in the UK with the single Being With You in June 1981. The title track from the album also reached #2 in the U.S., #1 on the U.S. R&B charts and also spent five weeks at the top of the Hot Soul singles chart. 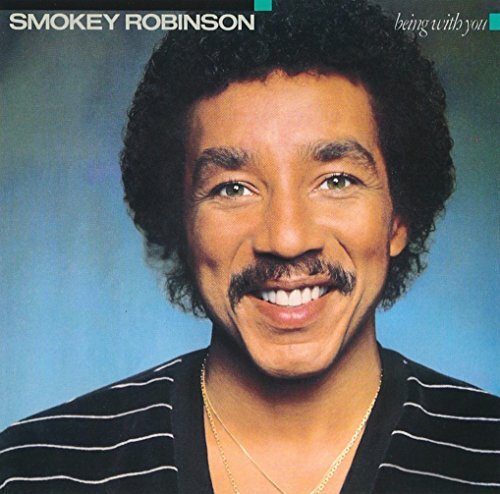 Being With You was Smokey Robinson's highest-charting solo hit. Smokey's last hit was in 1989 as a guest with The Four Tops on the single Indestructible which peaked at #30 in the UK and #35 in the U.S.